A warm welcome awaits you at The 3 star Castle Hotel. Ideally located in the centre of the historic industrial town of Merthyr Tydfil next to main bus station, crown courts, high street and few minutes walk from railway station. All our 45 en-suite bedrooms provide wi-fi Internet, colour tv, telephone, hair dryer, trouser press and tea & coffee making facilities, Lift to all floors. 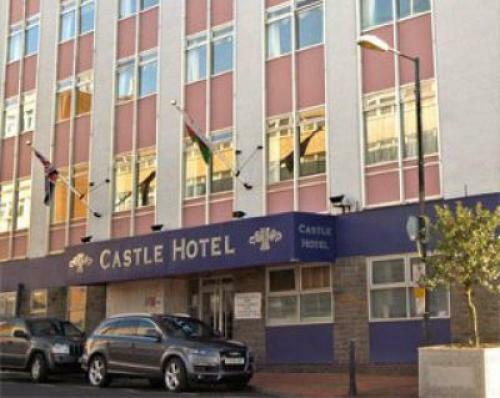 Working in Cardiff most Hotels and B & B's in the area were remote with not much to do around and expensive to eat or drink in the more remote places so I looked further afield after staying at a few other places I found the Castle Hotel. Very reasonable priced good location with plenty to do after work. Parking available and free cancellation. To be fair to this hotel, my stay was ok, but just ok. Very clean and good breakfast but the hotel is generally a tired and dreary looking place. Everything is basic. Bad shower but good bath, tiny TV & light bulbs missing in an already dull room. Parking is 200 yards away in a municipal car park is only free until 08:00, which means paying if staying and touring by foot. only a 3 star rating from me. Me and my wife stayed here for a weekend. Location is great and staff is very friendly and helpful. The only issue we had was the water pressure in the shower was very low, also the hot water was not constant. Apart from that, it was all good. Very clean and tidy hotel condiering how cheap the rooms were. Would use again . Lovely hotel, beautiful, very large room (suite) amazing value for money. Hardworking, lovely staff and the food in the restaurant was seriously good! We will be back again soon. Thanks very much. Where do I start. Amazing staff,Comfy bed, good food and a price you can't beat. Stayed recently to attend a family wedding. The Castle Hotel was ideal for our purpose. The room was clean, very comfortable and cosy. My only gripe is that the whole hotel smells of cooking. Something that I noticed on a previous stay. I was staying at the Castle for one. I enjoyed it very much. Oldish hotel yet very warm and comfortable. Just what needed. Lovely staff. Lovely hot water for bath. Very central. Will go back. Accommodation was very good and all the staff friendly. My only problem was with wifi. It worked in the corridor but not in the room. Very clean hotel, well placed for visitors to Merthyr Tydfil with good value breakfast and excellent and very helpful reception staff. No Wifi on 4th floor couldnt pick it up. Plus Shower was very slow no power. The hotel is very central and parking is easy and not too expensive. The room is a bit aged but well maintained. The only thing that I would like to bring up, is the mattress needs replacing! very happy with hotel room..clean and relaxing. The hotel was reasonable, but the rooms were so hot it made it uncomfortable to sleep even with the fan provided,( which I presume is why the fans are left in the rooms).I think the hotel is in need of a refurbishment. The room was a lovely size but very warm with been on the top floor. Good place to stay and has the added advantage of an excellent restaurant. Value for money. Excellent food, room very clean. Overall enjoyable stay. Stayed a few days in Castle Hotel Merthyr Tydfill. Hotel located in centre of Merthyr and not expensive. Will go there on my next trip. Fit for purpose. Helpful staff. Central location. Multi storey nearby (extra cost of £3.50 per d.). Clean, but furnishings a little tired. Nice clean and comfortable, breakfast was good value for money. Friendly staff, would definitely stay here again. Nice clean hotel with a breakfast well worth its value. Very helpful and friendly staff, We would definitely recommend anyone on a last minute visit. Fantastic staff, very helpful, breakfast was quick and of good quality. Room clean and tidy and spacious. All in all a very good experience. Shall be using regular when going to Bike Park Wales . My first visit to the Castle Hotel, very impressed! friendly and helpful staff, I will be returning. 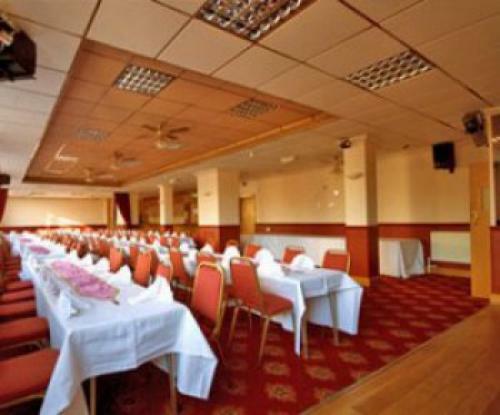 Hotel is in the centre of merthyr close to shops, pubs and restaurants all within walking distance. Breakfast good value offering meaty and veggy alternatives. Yes the hotel is a little tired but staff welcoming and the rooms clean. Second time we have stayed here. Room was a little dated but was clean and was serviced every day with fresh towels. Staff were friendly & helpful. I didn't eat there as I ate with family, so I can't rate the food. Great staff,great food,if your there on a Sunday don't miss the carvery! The television only had two working channels, the curtains were all ripped, the tea cups were covered in dry coffee and had definatley not been cleaned. Only one of the two small windows in the room opened, there were no staff at the front desk when i arrived or left. I would never stay here again and would never recommend it to anyone. Missing ceiling tiles in bathrooms on both rooms, to boil kettle in family room you had to put the kettle on the floor as no plug near cupboard it was on and the other 2 plugs are above a hot water pipe so if you domanage to get the plug in the bottom of it and the cable are sitting on the pipe, H&S would not allow thisif it was checked. No hanging space at all in the family room even though it sleeps 4 people. Very strong smell of canabis in the family room which made the 3 females ill with one of them being sick more than once. Hotel Supervisor and Hotel Manager refusing to come to the room aboutany of this but sid went when we were havng breakfast and could not see drug issues, how they expect to see the very over poering smell of canabis is beyond me. Hotel Manager rude, not helpful and walked away from us 3 times. They refused to give us the details of the owner as we wished to complain to them bout the Manager. We ended up reporting our concerns to the local police as the hotel were not interested. Recently had a group of Engineers staying. The guys where happy with the hotel, staff and the location. Stayed one night during race event at aberdare. Good value for facilities but lack of on__site parking could provide problems. We were provided with bike parking inside the hotel which was unusual but effective. Lot of noise from revellers but main problem was lack of air conditioning. Tiny opening windows meant our room resembled a sauna until about 3am and sleep suffered. Good for the price but i would pay more for better facilities. The Castle was our central point for a week's stay in Merthyr Tydfil. Generally, we were quite satisfied with our experience - the staff were very helpful and courteous. The hotel was far from being full, and we were allocated a superior room; quite large and with all comforts. The hotel itself is some years old and is desperately in need of a makeover, both interior and exterior. Things like exterior signage falling apart, things like interior paintwork peeling, things like windows that wouldn't open, things like radiators that wouldn't turn off. Little things in themselves but they add up to a less than excellent impression to visitors. The dining room menu was OK, but only just. Breakfast again was OK, but somewhat short on choices. This is the third time I have stayed at the Castle Hotel. They have everything you need after a strenuous day on the mountains - hot water, great food, cold been and wine, clean sheets and a cooked breakfast. They are very welcoming and flexible. Thank you Castle Hotel. Once again it was great to see you. I arrived at mid day and official check in was not until 14:00hrs, however the room was ready and I was given access with an upgrade. Room and hotel clean, the bed was very comfortable. I will stay at the castle again, enjoyed. 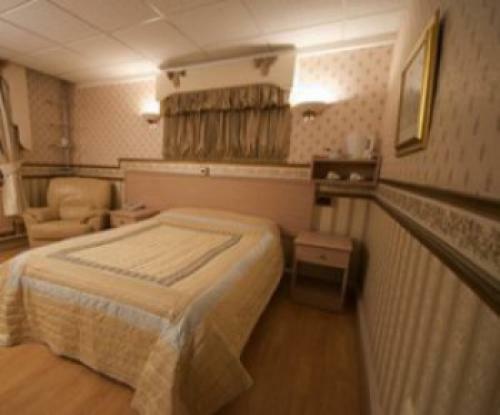 A ideally located hotel in the town centre. The decor is tired and a little chintz for my taste however it was clean and comfortable. Although very friendly there is an opportunity here for some customer service training as upon check in I waited at an empty desk for way to long so my first impression was a poor one. It's not great but it's not bad either!!! Second time staying here when visiting BPW and as always they couldn't make us more welcome. 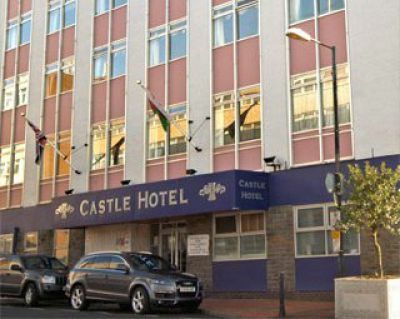 To all of the people who did not have nice things to say about this hotel, this was my first stay at The Castle Hotel and I found it excellent, the beds were so comfortable and the owner could not do enough for me. The lady who came from Aberdare (The receptionist) was very friendly and very helpful and I would definitely stay there again. very helpful staff, little dated accomodation,in town location so noise to be expected in evening, however excellent value. Decoration extremely dated, however, clean, comfortable, very friendly night porter (we arrived after 11 pm,) sufficient tea and coffee facilities. Bathroom as above but very weak shower. Value for money. Would stay again. 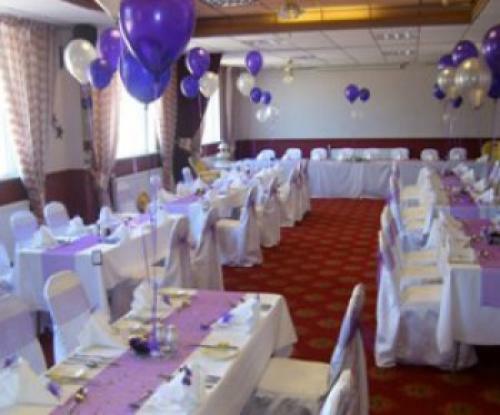 Great Budget Hotel, friendly staff, brilliant location when working in Merthyr. Has secure overnight parking a real value for money stay. the hotel is a nice hotel, pleasant friendly atmosphere and a very reasonable cost. My only issue was in relation to the breakfast. the quality of the breakfast was poor. the beans were cold and there was no egg. i noticed another guest having to ask for an egg - it is indicated on the menu after all. you can get an unlimited breakfast at harvester for £5 which is very competative. I know this might seem trivial but it is often these little things that present a positive brand image and when poor can affect the overall experience. The hotel was very clean and Robert the night porter friendly and helpful.The room was a good size but the bed was a bit lopsided!The food was nice and the service was good.The hotel could do with a more contemporary decor. All was good, the restaurant food excellent value and the room spacious and comfortable an outdoor sitting area would be an asset to the hotel. The staff were also very friendly and helpful. Ideal location; rooms clean and comfortable. Have stayed before, probably stay again. Car parking is only concern. This was a pleasant hotel, helpful staff, large clean bedroom. Generous food portions, not cordon bleu, but no problems. I would stay here again. We felt very welcome and lovely service.A lovely breakfast with fresh hot food. The bed in my room (317)needs an extra matress as the springs were uncomfortable. Other than that we were happy! Everything I wanted to make my visit a happy one. Just one suggestion: fresh fruit for Breakfast. Staff very helpful and friendly. Clean and comfortable hotel in the middle of town right next to the High Street. Would recommend. The only minor failing was the inability in room 402 to achieve a mix of hot and cold water for a shower, but a very nice bath was a good substitute. Thank you. Efficient check in, friendly staff.Room clean and comfortable.Good value for money. I had an enjoyable holiday In Wales this August staying at the Castle Hotel. The room was very comfortable but the shower did not work properly - the hot water adjustment did not work. i had to use the sink to get hot water for washing. I asked at Reception about this but it was not fixed. The hotel is a little dated, it looks like a refurbished office block. The furnishing in the common parts do give the place a quirky charm along with the mis matched carpets and wallpaper. Our room was large, overlooking the street. Due to the proximity to the nightclubs of Merthyr, there was a lot of noise from late night revellers until about 1.30am. The room decor was again dated but in good repair. The bed was not the most comfortable and could do with being replaced. The bathroom was spacious with the exception of the not so nice shower curtain and rather small bath towels was very clean. In fact the hotel cannot be faulted on the cleanliness of the rooms. The staff i did speak were courteous and helpful. It would be good if you could inform guests where they can securly park, we originally parked in the car park near the fire station and when i spoke to the receptionist i was told that there was secure parking nearer the hotel. Comfortable although the room was a little airless despite opening windows. Food fine, all staff very helpful. Although the decor of the Castle Hotel is not particularly modern I have to say that my room was big, clean and very good value for money. I would happily stay again.